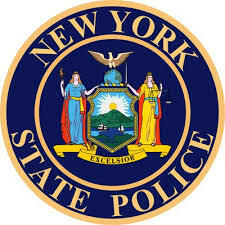 The New York State Police will conduct a Thanksgiving holiday traffic enforcement period from Wednesday, November 21, through Sunday, November 25, 2018, in an effort to prevent tragedies caused by impaired, distracted, aggressive or reckless driving. During this enforcement period, Troopers will be highly visible, and drivers can expect a number of sobriety checkpoints and additional DWI patrols. The State Police will supplement regular patrols statewide, including fixed sobriety checkpoints, an underage drinker enforcement and the "Operation Hang Up" initiative, which targets distracted drivers by utilizing Concealed Identity Traffic Enforcement (CITE) patrol vehicles to better locate drivers talking or texting on hand held devices. These unmarked vehicles blend in with every day traffic but are unmistakable as emergency vehicles once the emergency lighting is activated. The highest traffic volumes of the year typically occur during the Thanksgiving holiday weekend. It is also a time when alcohol consumption is widespread. During the 2017 Thanksgiving holiday period, troopers arrested 242 drivers for DWI, issued 5,797 speeding tickets, 663 tickets for distracted driving, and 234 tickets for the move over law. A total of 15,360 tickets were issued statewide during the period. This special traffic enforcement detail is funded by the Governor’s Traffic Safety Committee (GTSC). The Governor’s Traffic Safety Committee and the New York State STOP-DWI Foundation “Have a Plan” mobile app, is available for Apple, Droid and Windows smartphones. The app enables New Yorkers to locate and call a taxi service and program a designated driver list. It also provides information on DWI laws and penalties, and a way to even report a suspected impaired driver. · If you know someone who is about to drive or ride while impaired, take their keys and help them make other arrangements to get to where they are going safely.